As a shocking 56% of senior (when polled) would prefer to exercise and rehabilitate in outdoor facilities. 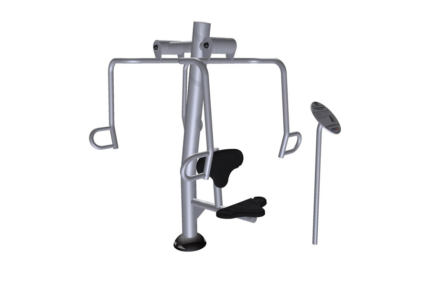 Active Adult Fitness is a brand new line within our outdoor fitness products and approaches fitness in the eyes of those who wish to maintain their everyday activities and enjoy the outdoors at the same time. 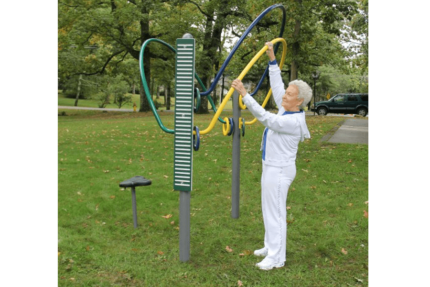 Active Adult Fitness is a comfortable outdoor fitness solution that provides its users with the opportunity to absorb valuable Vitamin D, socialize with others, and empower users for everyday living. 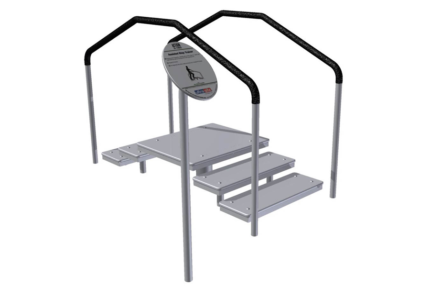 Active Adult Fitness is a brand new line within our outdoor fitness products and approaches fitness in the eyes of those who wish to maintain their everyday activities and enjoy the outdoors at the same time. 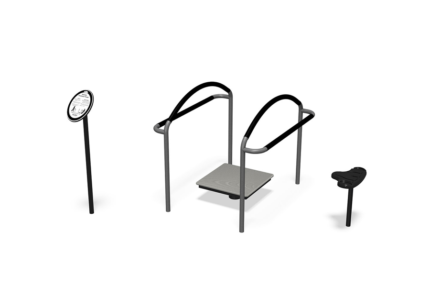 A unique feature of the Active Adult line recognizes the importance of a comfortable seat. 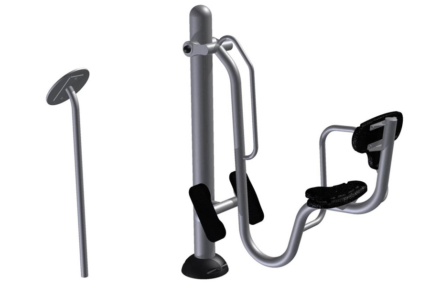 Featuring a wide seat, hand grips and extra padding- our equipment offers the best in comfort and support. 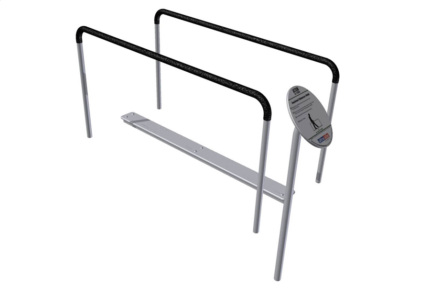 For peace of mind the Active Adult line offers Handrails and support bars that feature a textured hand grip for added support and to help build confidence. Our stepping surfaces feature marine Grade HDPE which increases the static coefficient of friction (SCOF)- reducing the risk of slips, trips, and falls. Active Adult offers a wide variety of assisted options that allow caretakers and medical facilitators to monitor progress and safety; as well as, ADA accessible options for those with differing abilities.